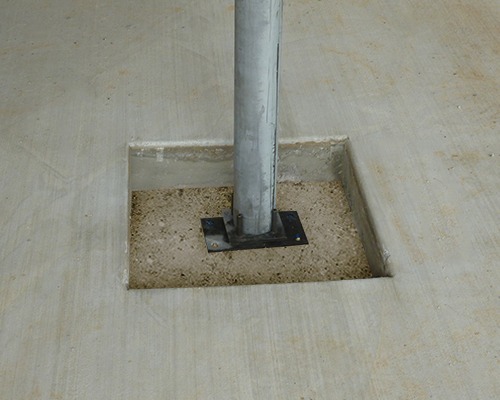 Base Plates - Portland Stone Ware Co., Inc.
Once connectivity is chosen for the top of the column and beam, determining the base is easy. 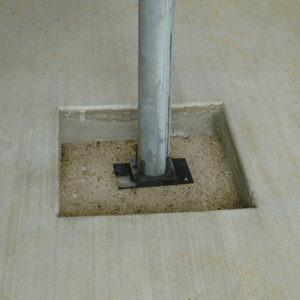 The Lally Lock Base Plate is designed to connect the plate into the column with a concrete screw through the middle of the plate. 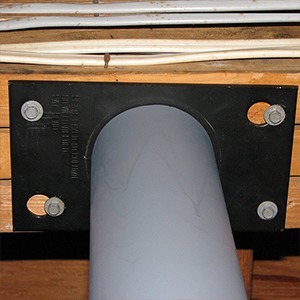 Other options involve welding either the standard or beam plate to the column. Using a beam plate is better for larger weight distribution. 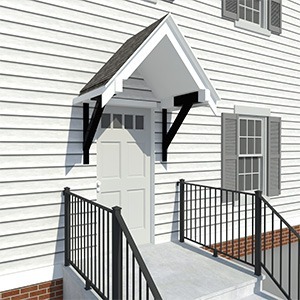 While the Lally Lock Base Plate is simple, the Adjustable Base Set offers a lot more. 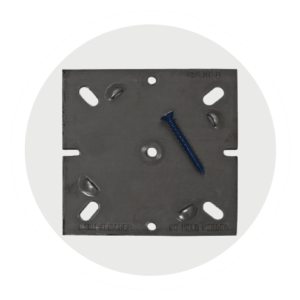 This base set allows up to 3” adjustability, making it easier to install. 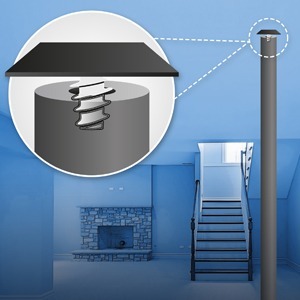 When installed correctly, the adjustable plate helps with self-leveling and no shimming is involved. 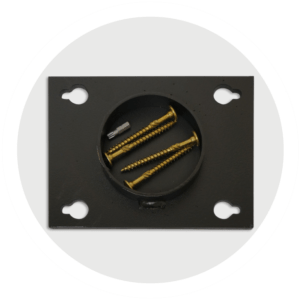 This helps with installing saddle plates and is particularly useful for one person to install. 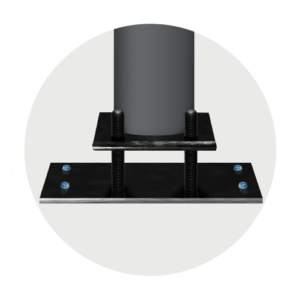 Instead of one person on either end of the column, the adjustable base allows for the cap plate to be installed first then pairing the base and bearing plate set together. 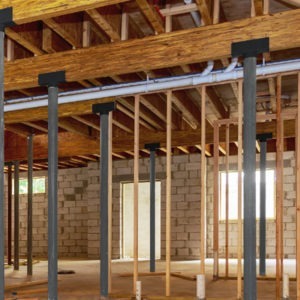 Whether you are about to pour a 4” slab floor around the adjustable base set, or want to fill in the gap between the bearing and base plates with grout of at least 3,000 psi, the adjustable base set is a great choice for either new construction and renovations. This plate is made in low carbon steel in dimensions 5 3/8” x 5 3/8” x 1/8”. 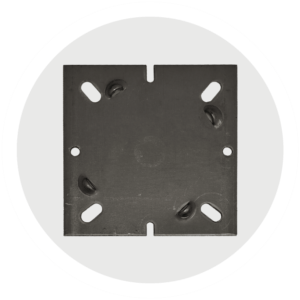 The plate has two 5/16” holes, two ¼” slotted holes, four 3/8” oval holes, and four raised lugs to fit outside dimension of the column. 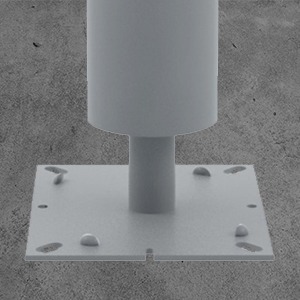 One 1/4” counter sink hole is center located to attach the column with one Phillips head concrete screw included in packaging (Phillips head bit not included).